To receive the IANDS member rate, you must login with an "active" membership before registering. See instructions below to join or renew your IANDS membership. If you do not have an IANDS account yet, create an account here. If you already have an account, login to your account (it will save time). If you need to set or reset your password, click Forgot Password? using the email address for your account. If you wish to receive the IANDS member rate, be sure you have an "active" membership: login to your account (see previous step). Check if you have an "active membership"; if not, select Join IANDS or renew my membership from the pull down menu. Click on the Register button above to proceed with Conference registration. Select Full Conference to attend the full 3½-days. Select Attend by Day / Optional Events Only to attend individual days, mornings only or optional events only. Select Add Items to an Existing Registration to add any items beyond your initial registration. If you need to make more extensive changes, to change or delete items, contact the IANDS Office by the contact form or by phone. Select Exhibitor Table Only to register as an Exhibitor during the Conference. Also fill out and submit the separate Exhibitor Registration Form (PDF or DOCX format) which contains additional details for Exhibitors. When you register a second person (e.g. partner or spouse), the second person will receive a 15% discount off the registration fee with the discount coupon PARTNER/SPOUSE. If you are an IANDS Member, the second person also receives the member rate. 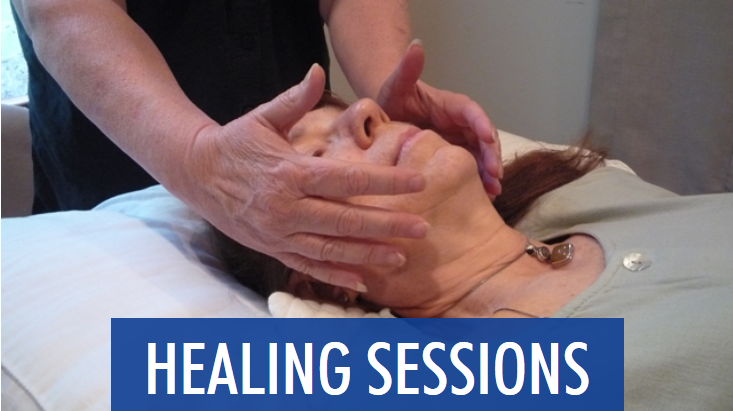 Workshops: There are many workshops to choose from! Each 2-hour, 3-hour or 4-hour workshop allows you to explore a topic in more depth with an expert, sometimes with direct participation and experiential learning! 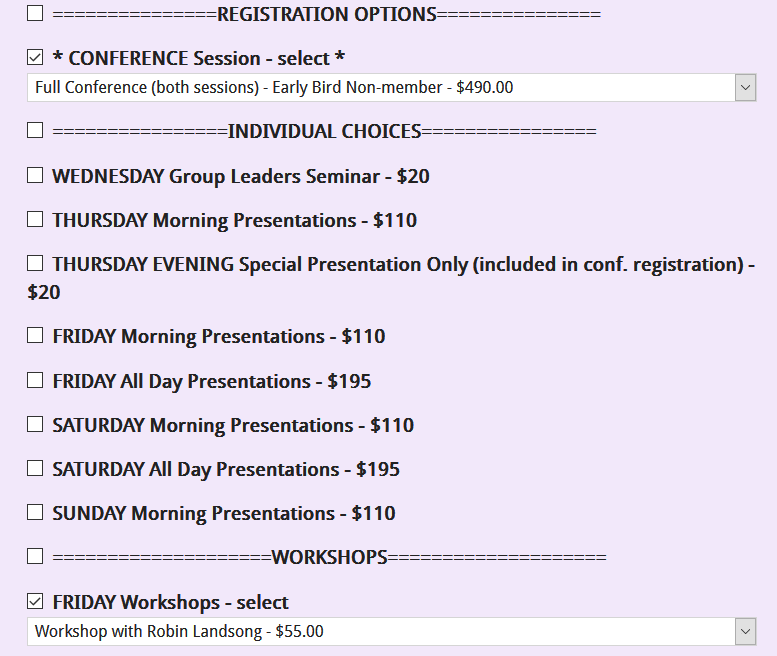 The workshops are priced separately from the conference registration. Full List of Workshops (subject to updates). 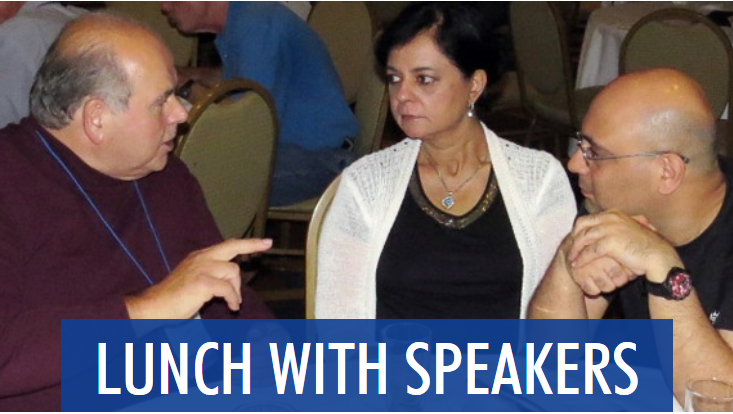 Lunch with a Speaker: Spend an hour and a half with your favorite speaker, enjoying enlightening conversation and excellent food! Check out when the speakers you are most interested in are scheduled and sign up early — only nine lucky attendees can join in. The plated lunch is $55.00. 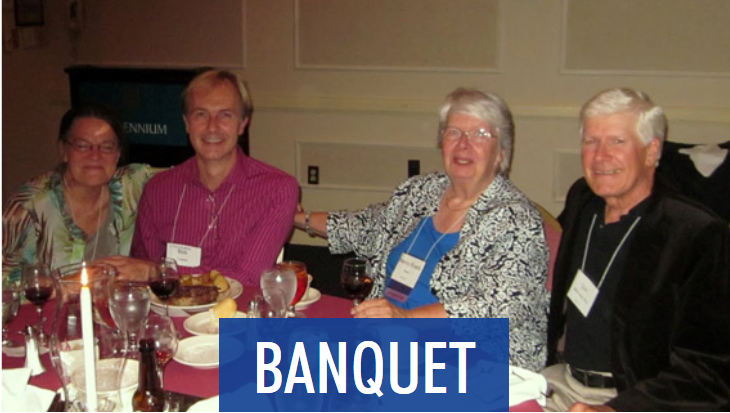 Fund Raising Banquet: On Friday evening we will have our traditional Fund Raising Banquet, featuring an elegant plated dinner. A keynote or featured speaker will give a short presentation — all to help raise needed funds for IANDS’s mission! The Banquet is $125.00, of which $70.00 is a donation to IANDS. Group Leaders Seminar: The Group Leaders Seminar is a special program on Wednesday afternoon for IANDS NDE Group Leaders and those interested in becoming a Group Leader. 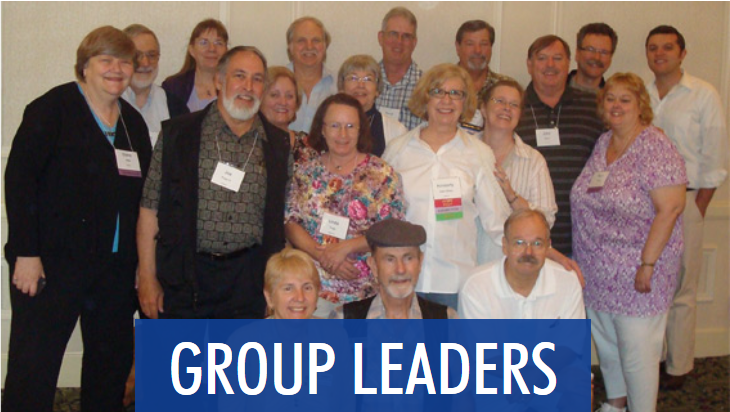 Our Group Leaders are a special set of people who run the IANDS NDE Support Groups in various cities in the U.S. and across the globe. If you think you might be interested in starting an NDE Support Group, check this out! 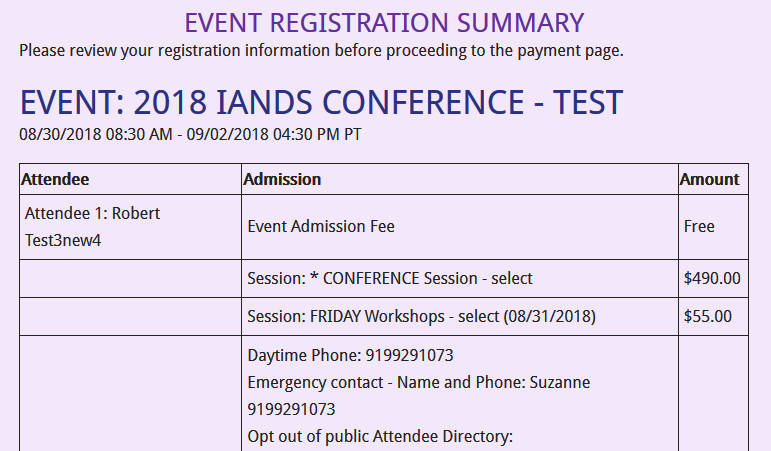 Consider becoming an IANDS member before you register: The admission tickets are less expensive for IANDS members, even with the cost of becoming a Basic member for $30. And you get all of the benefits of being an IANDS member for a year — our quarterly magazine Vital Signs, monthly NDE stories via email, member discounts and more!. To get the discounted member conference rate, you need to login as an active member before registering. To JOIN IANDS and enjoy the member conference rate, click here. On the first page of the registration, login to your IANDS account or set up an account: You may register one person at a time. 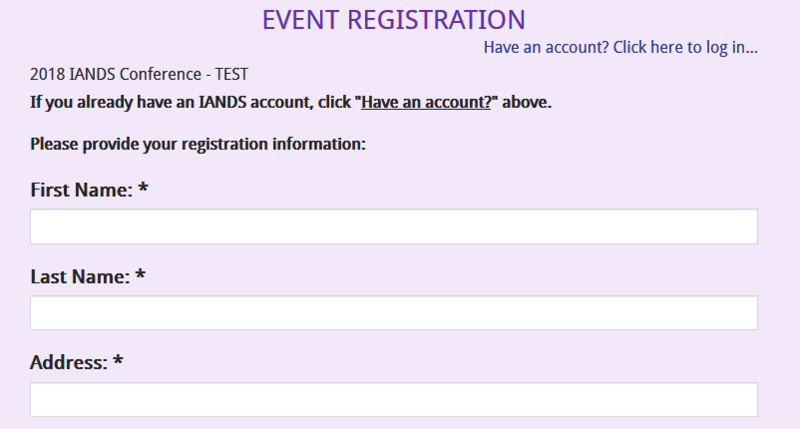 If you are registering someone else, uncheck the box "I am the attendee". Type in any discount coupon code you have (case sensitive). (Use the PARTNER/SPOUSE code for the second person.) Read the Waiver Statement and check the box indicating you agree with the conditions. On the second page, select your basic Conference Session: Select what part of the conference you are attending. If you wish to attend only individual days or mornings select Attend by Day / Optional Events Only. Make any additional choices: Workshops, Lunch with Speakers, Fund Raising Banquet, Healing Sessions, Group Leader Seminar. On the third page, review your choices: Go to the previous page to check your detailed selections and to make any adjustments. Optionally select an additional amount to donate toward Conference scholarships. 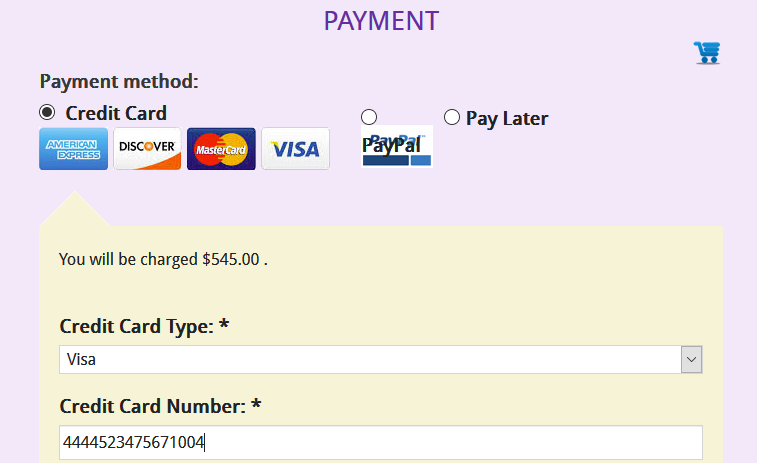 On the fourth page, enter your payment information: If you select Pay Later, your conference registration will not be complete until we receive your check. TO BEGIN your registration, click on the REGISTER button at the top of this page.